When it comes to competition, there are a multitude of factors that all contribute to a competitor’s success. Usually, the engine is only a single factor in the equation. However, when it comes the LS vs. Coyote Supercharged Engine Shootout, the engine is the star of the show, and there are really three major factors which will come into play: Rules, Builders, and Strategy. The rules, which we covered here, keep the playing field as level as possible for both of the platforms and builders. The engine builder’s individual skills across the board will play a large part in the efficiency and ultimate longevity of the engines they produce. The individual strategies of how to approach the established rules in order to maximize the strengths of their respective platforms will play a key part in the completion. So, let’s get to know the builders, and the basic outline of their strategies. Late Model Engines specializes in Gen-III, -IV, and -V architecture small-block Chevrolet engines, and as such, were an obvious choice for Team LS. Led by owner Bryan Neelan, the shop has a list of accomplishments in the LS market longer than we have room to list here. While LME focuses of the LS/LT platform, the venues in which their builds compete is quite diverse, ranging from eighth-mile drag racing to full-mile top-speed applications, along with drifting and road racing applications, as well as high-performance street cars. That diversity gives them the experience to know what works, where, and what doesn’t. The core of LME’s strategy is big displacement. By using readily-available components which they have personally used in big-power applications, they are working the budget while aiming to take the peak and average power points. Besides the range of applications, they also have extensive experience with different power adders. While the rules may confine the team to a centrifugal blower, that doesn’t mean the knowledge gleaned from other forms or power adding are lost on LME’s build. 15 years ago, Tim Eichorn hung out his own shingle and opened up MPR Racing Engines. At the time, he was competing in the NMRA’s premier naturally-aspirated class, Hot Street, which featured max-effort small-block engines in what was considered to be like a mini-Pro Stock. Eichorn was also working as a tech inspector for the NMCA at the time. 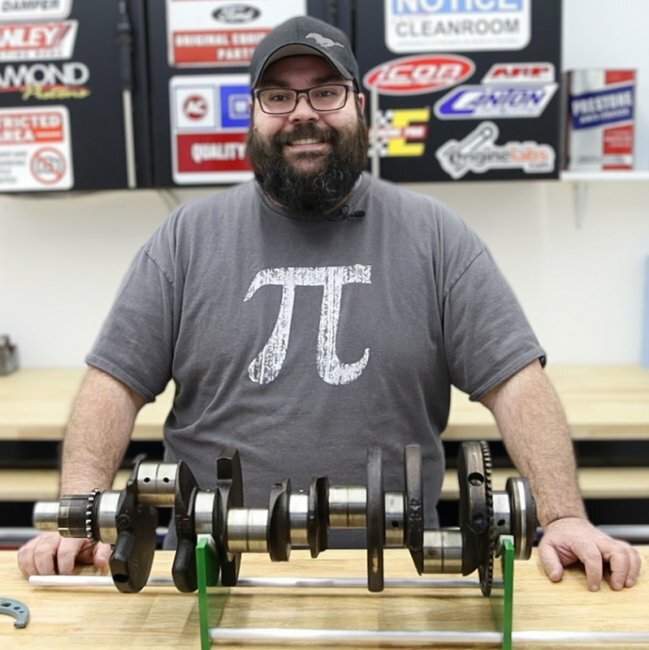 Staying true to his roots, a large chunk of MPR Racing Engine’s clientele are drag racers. MPR’s customer list reads as a veritable who’s who of small-tire drag racing. 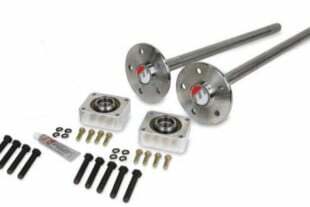 Unlike LME, while MPR is known for their obvious Blue Oval leanings, MPR isn’t focused solely on the Coyote engine, with record-setting and championship-winning Windsors, Modulars, and even EcoBoosts with the MPR name on them. MPR’s strategy is to push the small-cube combination to the mechanical limits of the engine. Darton sleeves are a key component in that strategy, even though the sleeves and the machine work to install them are taken out of the project’s budget. With such a variety of experience, along with some killer Coyotes under his belt in the last few years, Eichorn was an easy choice when it came to building the second-generation Coyote engine for the shootout. While the Coyote from the first shootout wasn’t really much more than a truck engine with off-the-shelf cams, this engine is a stout contender built for boost. So what we have on our hands is a David vs. Goliath showdown of displacements. Will the ProCharger be a replacement for displacement? Can MPR spin the Coyote hard enough and cram enough boost down its gullet to overcome an almost-30-percent larger engine? Or will the almost 100 extra cubic-inches of displacement from the pushrod engine, coupled with the supercharger be too much for the dual overhead cam mill? Backed by some of the biggest names in the automotive aftermarket — including ARP, BMR Suspension, COMP, Covercraft, DiabloSport, Dyna-Batt, E3 Spark Plugs, Holley Performance Parts, Mahle, Mickey Thompson, ProCharger, QA1, Royal Purple, Summit Racing, TCI, Weld Racing, and others — we are kicking off another amazing Horsepower Wars series. Stay tuned for the next episode of LS vs. Coyote!